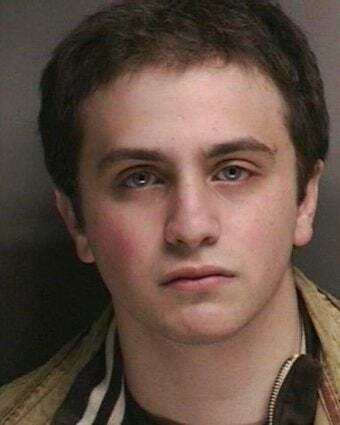 Justin D. May, wanted after skipping bail on charges that he tried to swipe early code of a video game at the Penny Arcade Expo, plans to appear in Boston courts in May, the Suffolk County District Attorney's office tells Kotaku. May contacted the Boston Municipal Court yesterday after learning of the arrest warrant issued in his name, Suffolk County District Attorney press secretary Jake Wark told Kotaku. Because May reached out to the court and made arrangements to have his arraignment date reset and because police know his address and he has no previous record, he won't be facing additional charges for failing to appear, Wark added. The arrest warrant was issued for May, 20, of Delaware, after he failed to show for his arraignment on March 30. But Suffolk County District Attorney press secretary Jake Wark told Kotaku today that authorities spoke with May yesterday and he will appear for arraignment in the Boston Municipal Court on May 19. May faces charges of larceny over $250 and buying, selling or receiving stolen trade secrets. May could face up to five years or a $25,000 fine on the first charge and up to five years or a $500 fine and imprisonment of up to two years on the second charge. May was arrested Sunday after allegedly trying to copy files from a computer at the display booth for upcoming first-person shooter Breach. He was later apprehended, with 14MB of the roughly 2GB game found on his Dell laptop. Witnesses tell Kotaku that May admitted to trying to steal the files and then tried to bribe a police officer with $100.